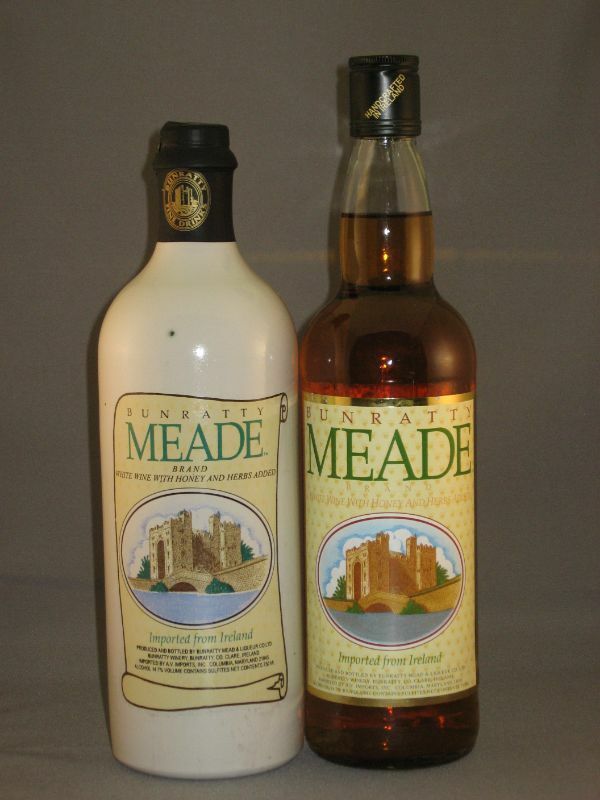 For authentic Irish drinks, one need look no farther than Bunratty Meade, made from white wine with honey and herbs. The drink of ancient Gauls and Anglo Saxons, Mead was originally made by monks centuries ago from fermented honey and water. mead soon made its way into the courts of the four Kings of Ireland and no banquet was complete without it. This honey-based drink was said to possess powers of virility and fertility, and it became custom for a bride and groom to drink mead for one full moon after their wedding, giving birth to the word "honeymoon." In Ireland today, it is still tradition to toast the bride and groom with a glass of meade when they depart on their honeymoon from the wedding feast. Bunratty Meade is superb when chilled and served over ice. A mixture of wine, honey, and herbs, Meade is a completely authentic Irish drink.